The Harmony at Home Yorkshire office is passionate about finding the right nanny or child carer for families in Yorkshire. Using the extensive range of experienced and suitably qualified Nannies and Child carers in Yorkshire we specifically recruit to find the perfect nanny who meets a families personal requirements. At Harmony at Home Yorkshire we aim to provide a personalised service for all families, we focus all our attention on our families making sure even the slightest details are being met at an outstanding level. We appreciate how vital it is for families to have good quality childcare that they can rely on, giving them the comfort and knowledge that their children are safe and happy together with being supported with their learning and development. We understand how time consuming and difficult finding the right childcare can be for parents with children of any age. From the moment you make an enquiry we guide you through the process from start to finish, making sure you are happy every step of the way. 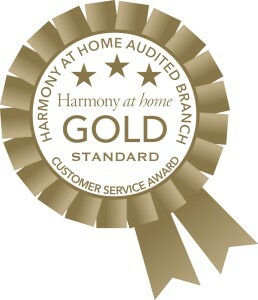 Harmony at Home Yorkshire can help you find the right childcare solution for you and your family. We aim to build lasting relationships with all our clients, we treasure the relationships we have made with families and enjoy helping them find childcare when their needs change as their families grow. We place nannies throughout Yorkshire, including Hambleton, Richmondshire, Harrogate, Selby, Ryedale, East Riding, York, Craven, and Scarborough. “The service provided by the Yorkshire branch was excellent, they quickly found us our perfect nanny. I have no hesitation in recommending Harmony at Home Nanny Agency Yorkshire.” Claire Harvey, Hambledon Hills. Nannies please view the latest Nanny Jobs in Yorkshire here.